Entrance logo mats by Rentex, professional entrance mats and rental services in Yorkshire. We are based in Wakefield near Leeds we also supply Huddersfield, Halifax, Sheffield, Doncaster, Bradford, Harrogate and York. When it comes to corporate identity a professional image is vital and in business today maintaining that image is essential. Create the right first impression with professional entrance logo mats. Our logo mat rental service provides an effective and efficient way of stopping the ingress of dirt and grime from foot traffic. By trapping grit and moisture within the dirt control barrier mats fibres this significantly reduces your floor cleaning costs. 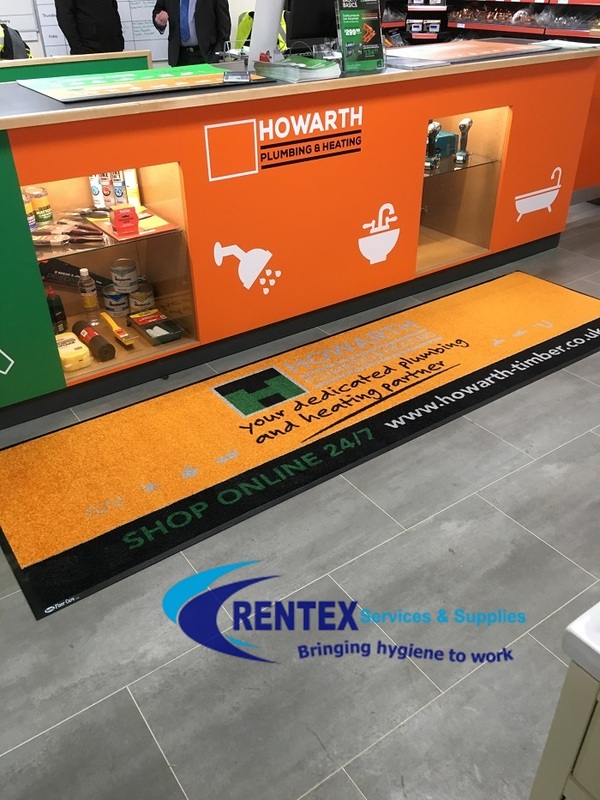 Whilst also offering the same dirt control performance as standard dust control door mats, bespoke graphic mats are guaranteed to make a powerful first impression for clients and visitors to your premises. 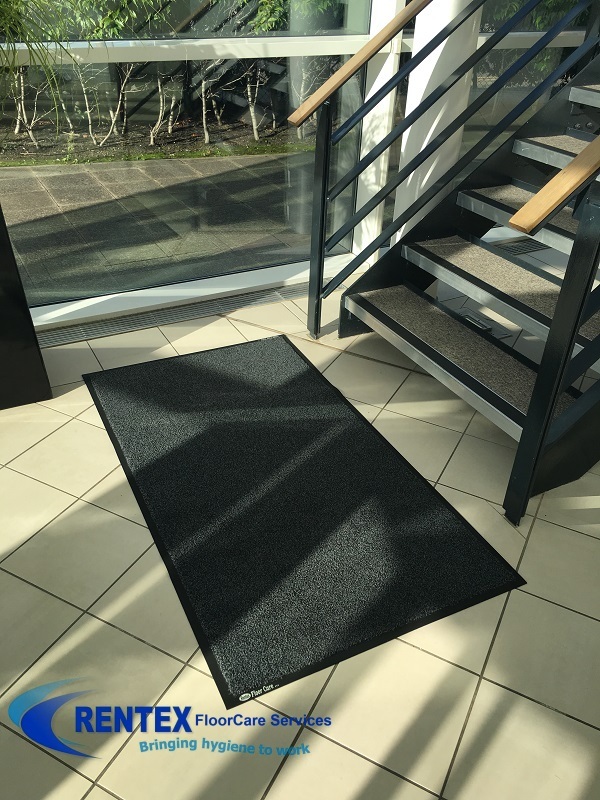 Our entire commercial range of mats have been developed to address the needs of business and public buildings. At Rentex logo mats we offer a large selection of custom made premium logo matting and designer image entrance mats. With over 40 colours to choose from we can certainly create your logo entrance mats. 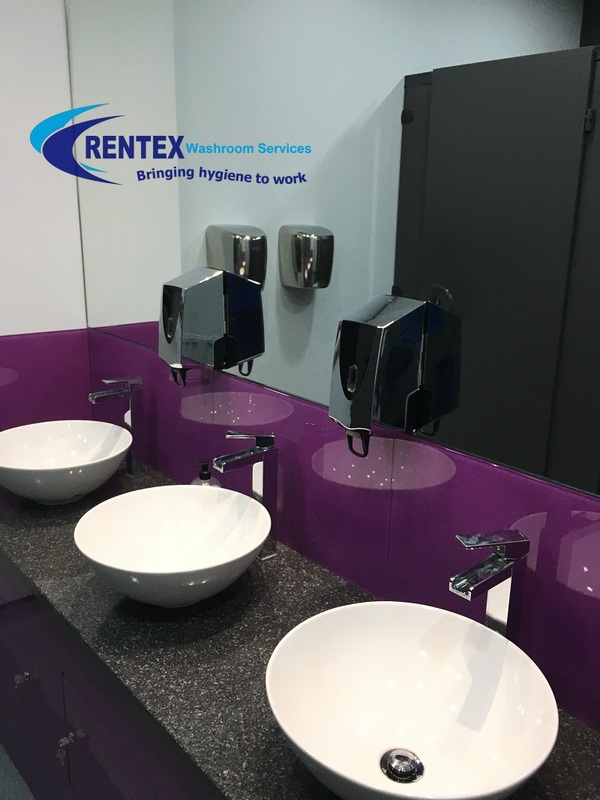 Our experienced floorcare business development representative will tour your facility with you and therefore assess your service requirements. We will then recommend the most economical floorcare service program based on your objectives, budget and dirt control protection requirements. Designer mats and matting to suit any branding or setting. Your bespoke image mats could also include anything from company logos, safety information and promotions. After manufacture of your new entrance logo mats subject to artwork approval. 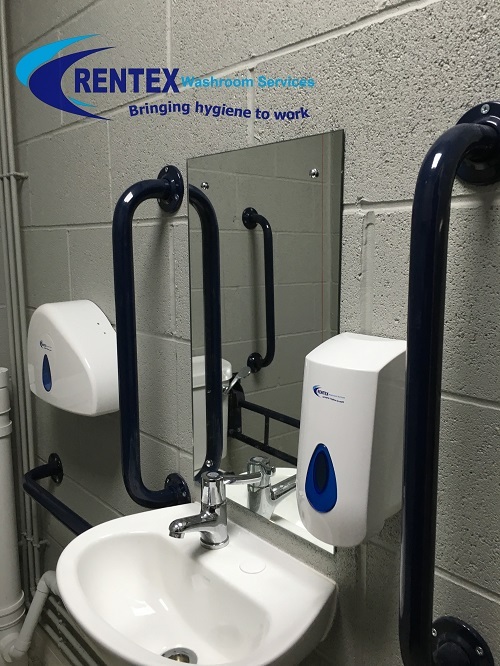 Rentex uniformed floor care service operatives call on a scheduled contract service visit in the Yorkshire area to exchange your soiled entrance mats with laundered mats on a lift and lay service. 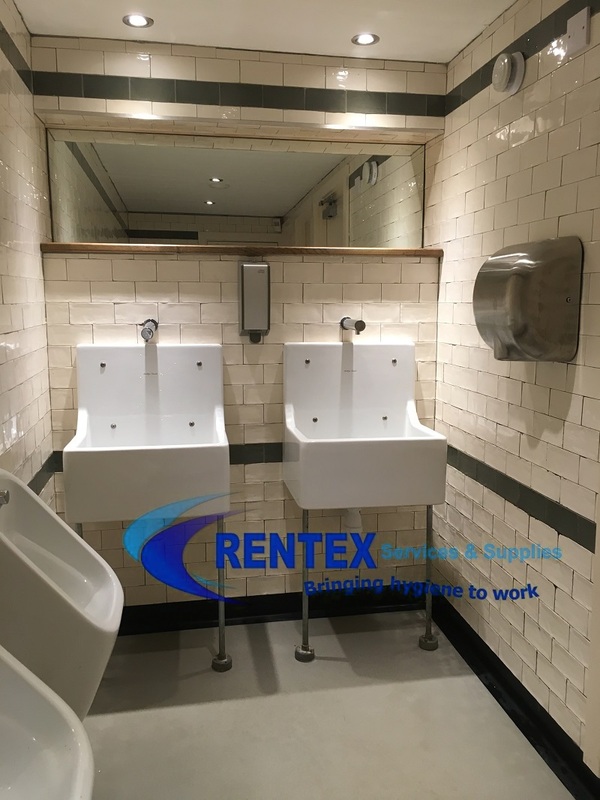 Upon each site visit your bespoke dirt control mats are replaced with professionally cleaned mats and the dirty mats removed from site for cleaning. All bespoke graphic mats are subject to a three year contract service period unless purchased outright. For this mat cleaning service we also have two logo mats in rotation to facilitate the mat exchange service. 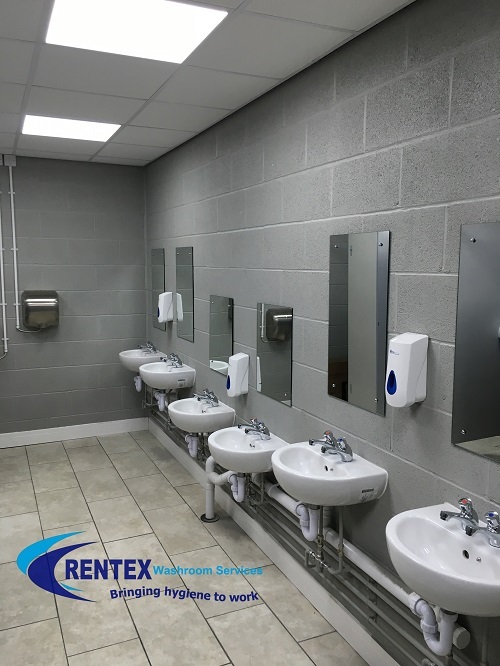 Leaving you with clean and fresh mats that will enhance your facilities and consequently help to reduce dirt and grime entering your building. Friendly floorcare service operatives delivering your logo mats on a scheduled site visit. For logo mats to function correctly they must be professionally cleaned to maintain appearance & effectiveness. All our commercial dust control mats feature solution-dyed coloured nylon from leading mat manufacturers. These special dyes resist fading and bleaching. The crush-resistant high twist pile traps dirt effectively and extends the performance life of the mat, the nit-rile rubber backing is skid-resistant.